Following up with KMVD’s first phase of AIS 140 initiatives on implementing VTUs (Vehicle Tracking Units) in 18,000+ school buses across the state of Kerala, the department has already hurdled a few steps ahead by empanelling the devices and inspecting the registered agencies/franchisees (VTU vendors/GPS tracking service providers). Notably, a few RTOs across Kerala have already conducted informative sessions with school managers to create awareness on the basic requirements, implementation process, empanelled VTUs and trusted vendors. On 31st August, the Transport Commissioner of Kerala, K. Padmakumar IPS, met with the VTU vendors (contact point for schools) with a goal to speed up the process. It was decided that schools throughout Kerala state be notified and get the school bus tracking completed by November 1st, 2018. Following which, the KMVD is now nearing the completion of physical inspections of VTU vendors to ensure all the criteria have been met and that they are capable of handling the installation and maintenance or support requests that get through to them. As soon as this is done with, KMVD will send a circular to all schools stating the mandatory requirement of School bus tracking system implementation. VTU, how is this all done? What must schools do next? Schools can now procure and install any of the empanelled VTUs (Vehicle tracking units) from KMVD list to start with the implementation. The VTU list published is indeed a reflection of the mandatory requirements set forth by KMVD, concerning AIS 140 standards. The mandate clearly states that the list is for reference, but choosing the right device/VTU vendor is School’s discretion. So, the first step for schools is to approach the preferred registered agency/franchisee (VTU vendors). Submit your KYC, Vehicle Registration Certificate (RC) and Mobile number to the VTU vendor/Agency. A qualified field engineer/automotive technician installs the VTU on your school bus. To tag the vehicle to KMVD’s network, the agency feeds the vehicle data (Regn. number) and IMEI to Suraksha Mitr portal. The portal will then automatically fetch all the associated vehicle data from the KMVD servers using the Registration number. 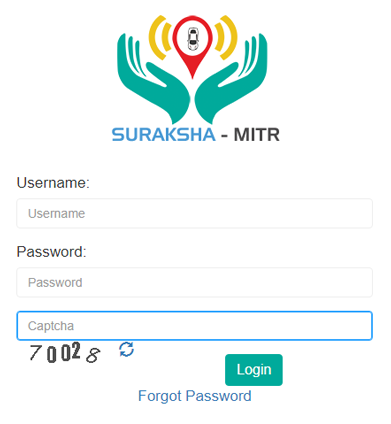 Once the agency matches and confirms the data on Suraksha Mitr portal with the original Registration Certificate, they update the GPS device IMEI number and Embedded SIM number along with your contact number. You’ll then receive an OTP, which needs to be updated by the agency on the Suraksha Mitr Portal. School bus location shall then be displayed on the Suraksha Mitr portal, that has to be verified and confirmed by the agency yet again. Once confirmed, the agency validates the VTU installation, and a vehicle tagging request is passed over to the Motor Vehicles Department. Upon receiving the tag request, the agency will generate a Vehicle Tracking Installation Certificate with the validated vehicle information and a token number. You (School authority) will need to visit the nearest RTO with the Certificate which will then be validated by the RTO officials using the token number (On vehicle tracking installation certificate). An RTO official shall then physically inspect the vehicle to verify, if the VTU installation guidelines have been thoroughly followed and that the location information is accurately shown on KMVD portal. If all looks fine, the RTO official will change the vehicle status to GPS Installed. RTO official finally certifies the School bus eligibility by signing and stamping KMVD seal on your Vehicle Tracking Installation Certificate. For improved safety and security of children, your school bus will then be tracked and monitored continuously by the system. And, the system will generate emergency alerts on scenarios viz., rash driving, accidents, panic requests etc., immediately to schools and the KMVD control centre. Note: Vehicle tracking installation certificate comes with a 1-year validity and needs to be renewed every year. Now, why you must be aware of the installation guidelines? End of the day, the vehicle is yours, and you’re the one taking it to the authorities to validate its fitness and compliance with KMVD standards. If the test fails, you’ll have to start from the scratch and redo the entire process yet again. So, by all means, you must know what’s happening and how’s it all done. In addition to the basic tracking requirements, school buses must adhere to the guideline requirements as followed. During installation, one of the things that need to be primarily considered, is how VLT device must be mounted in the school bus. 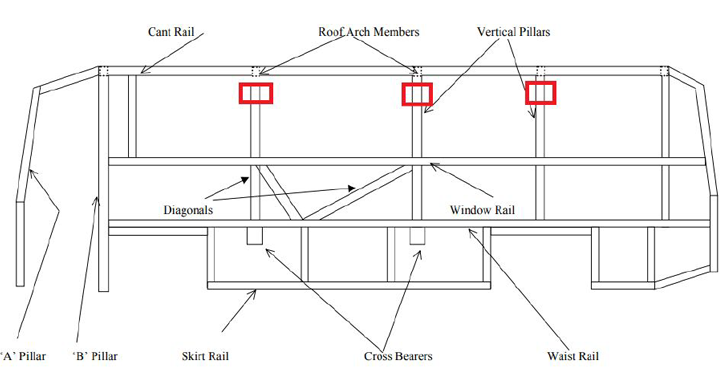 Section 5.3 in AIS 140 guidelines says, ‘The VLT system shall be mounted in a suitable location in such a way that it is not easily accessible/exposed to passengers’. For school buses, the most feasible option to fit a device seems to be under the dashboard. The IMEI number of VTU should be indicated/displayed on the device casing (visible part) in such a way that it can be quickly identified while inspection or emergencies. Absolute importance and care must be given to the wiring part while VTU installation. Strictly with no changes to inbuilt device wiring structure, wires leading to panic buttons must be given proper shielding or a secured outer covering. The VTU should continuously be powered and not be detached/removed from the vehicle battery at any cost. 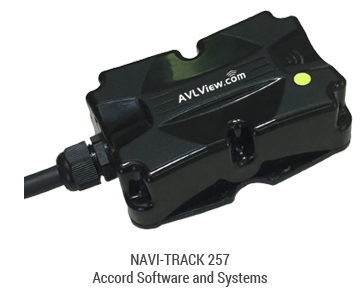 All VTUs have LED signals that indicate their working status. KMVD, in its directive, states that the devices found faulty or tampered will be penalised, if not reported to the VTU vendor or Agency immediately, so that they register a complaint directly on KMVD portal. Any periodic service or school bus maintenance that requires VTU disconnection must be notified to your vendor in advance, which will also be acknowledged and recorded to MVD system. It’s your right to know that the VTU vendor is required to respond to any reported issues within 48 hours and rectify in 72 hours from the time of reporting. For you, it’s not so hard to identify the faulty units, VTU comes with LED indications that denote the device functioning status. Each school bus must be equipped with 5 panic buttons in total – 4 for passengers/students (Preferably, to be fitted on the vertical pillar above the window rail, below the luggage rack) and 1 for the driver (in an easily accessible location while driving or at any time). Panic buzzer comes with glowing LEDs to indicate its functional status. Once pressed, the LED will start blinking denoting a panic request being raised and immediately the hooter begins to alarm. The alarm will raise immediate emergency assistance request to the school and the KMVD control room. Schools must inform the agency in advance on any periodic service or maintenance that requires the Panic button to be removed. Hooter, to notify emergency events and overspeeding, must be placed safely from easier access and should be loud enough to be audible to passengers in the school bus and those nearby (who are close to the vehicle). Proper warnings and disclaimers must be given to passengers, so they are aware of the to do’s and not to do’s. Say for instance, ‘Equipped with Suraksha Mitr System’ stickers on back/front glasses, ‘Only for emergency use, misuse will be penalised’ near to Emergency push buttons etc. Once the installation is completed, no wires must be left exposed, because it is considered a high safety breach; especially with children on board. Schools should renew their school bus tracking subscription every year and claim a renewal certificate from the agency while appearing for RTO/MVD CF test (Certificate of Fitness). The subscription renewal certificate must contain the date of renewal and expiry (1 year from the date of renewal). How schools get supported throughout the process? To ensure smooth execution and implementation of the plan, every VTU vendor will initially have four service points across the state viz., Thiruvananthapuram, Ernakulam, Thrissur and Kozhikode. The respective VTU vendor must acknowledge, record and respond in 48 hours to any issue schools raise regarding the overall school bus tracking functionality. They must also make sure that the reported problems have been rectified in 72 hours from the time or reporting. Agencies must adhere to the VTU installation guidelines set forth by KMVD, and failure results in blacklisting or even cancellation of their license. For schools to choose a VTU and an agency, the cost may not work out as a primary concern as there might only be slight variations in listed VTU pricing. Where all it matters and differs, is the value created by the system offered, that you choose to use. Alternatively, in simple terms, the registered agency/franchisee you decide to work with.